Rabbi of Lemberg; died in Cracow 1799. 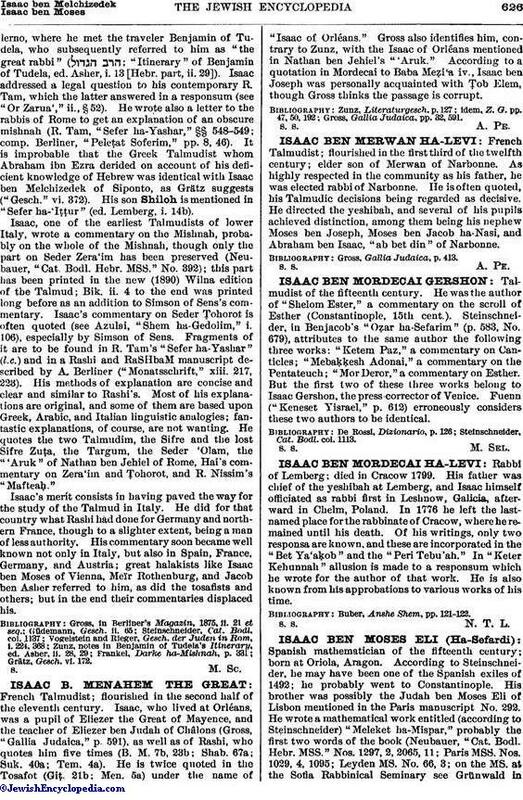 His father was chief of the yeshibah at Lemberg, and Isaac himself officiated as rabbi first in Leshnow, Galicia, afterward in Chelm, Poland. In 1776 he left the last-named place for the rabbinate of Cracow, where he remained until his death. Of his writings, only two responsa are known, and these are incorporated in the "Bet Ya'aḳob" and the "Peri Tebu'ah." In "Keter Kehunnah" allusion is made to a responsum which he wrote for the author of that work. He is also known from his approbations to various works of his time. Buber, Anshe Shem, pp. 121-122.